The Complete Resource Guide to Finding the Right Skilled Nursing Facilities in Atlanta. As people in Atlanta age, they may face limitations in their abilities to function independently to the extent that a higher level of medical care is required. Independent Living and Assisted Living may not meet the host of physical and medical needs of a senior, thus a Skilled Nursing Facility (SNF) in Atlanta becomes the appropriate option. For some, a transfer to an Atlanta Skilled Nursing Facility from a hospital stay occurs due to recuperative needs or for rehabilitation services such as occupational or physical therapy. Once the therapeutic goals are met, the person is typically sent home or to an Assisted Living Community. 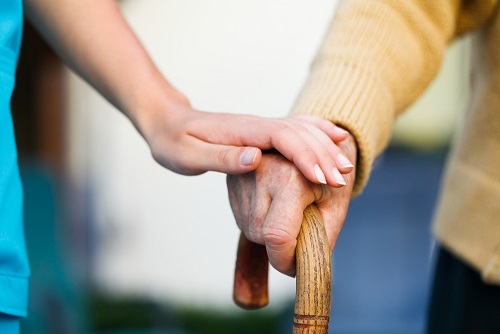 For others, their personal care and medical needs are long term and chronic and the services provided by a Skilled Nursing Facility best meet those needs over an extended period. In Atlanta, there is an alternative to Skilled Nursing Facilities known as residential Personal Care Homes (PCH) that are operated by medical professionals. Acceptance into a residential PCH is dependent upon the physical, social and mental capacity of the senior. Families and decision makers are encouraged to call Atlanta Senior Advocates to discuss the specific needs and resources of the senior so that the appropriate level of care is carefully considered. What are the services offered in a Skilled Nursing Facility? What criteria might signal the need for a Skilled Nursing Facility? What should be anticipated with a move to Skilled Nursing Facility for long term level of care? What are the costs associated with a Skilled Nursing Facility? Is there a resource that will help individuals navigate through this process? Commonly known as a nursing home, a Skilled Nursing Facility (SNF) is a level of care that provides a 24 hour, 7 day a week supportive environment and comprehensive set of services to meet a range of physical, psychological and medical needs. A stay may be short term or long term depending on the specific medical and physical requirements of the individual. Facilities vary in size and overall ambience but must adhere to specific federal and state regulations in order to maintain their licenses to operate. As with any relocation, it is common for the senior to feel a sense of loss and to experience grief, depression, anger and other emotions. Compounding the matter is that seniors often perceive nursing homes in a very negative way. It is always good to talk about the move to a Skilled Nursing Facility to enable the senior to release feelings and thoughts. In addition, there may be factors that enable the senior to be placed in a residential Personal Care Home rather than a Skilled Nursing Facility. Atlanta Senior Advocates can help families and decision makers plan for the right level of care. For example, if the senior requires long term Skilled Nursing Facility placement, finances are a key consideration as most people are unable to afford the high cost of an SNF. Eligibility for Medicaid brings into play multiple factors. If a spouse is to be placed in long term skilled nursing, the ‘spend down’ required for Medicaid eligibility may leave the remaining spouse with resources too low to manage living independently. Atlanta Senior Advocates will assist families by making a referral to an elderlaw attorney for Medicaid planning. There are situations in which the senior may be better served by having hospice care at home, but not all hospice providers are the same. Atlanta Senior Advocates maintains working relationships with Atlanta area hospice agencies and can provide guidance and a short list of those providers that maintain a high service reputation and that meet the requirements of the senior and family. It is important to obtain a clear understanding of the costs for the Skilled Nursing Facility under consideration. Care in an SNF is very expensive, with the cost in the Atlanta area starting at $7800 per month. Medicare pays up to 100 days of skilled nursing care or rehabilitation per year after a three-day hospital stay provided a physician certifies that care in an SNF is medically necessary. After day 21, Medicare pays for 80%, while the remaining 20% is paid by the patient or a Medicare Supplemental Insurance policy. Custodial care (when a person only needs assistance with bathing, eating, etc.) is not a covered expense by Medicare. Private health insurance does not cover an SNF stay. Medicaid is the only government assistance program in Georgia that will pay for Skilled Nursing care. Atlanta Senior Advocates assists families, seniors and decision makers in exploring Skilled Nursing Facility options and provides information so that the most suitable facility for the individual is carefully evaluated and selected. Whether faced with making a sudden decision due to a hospitalization or a decision based on a worsening progressive disease such as ALS, Atlanta Senior Advocates understands the difficulty people face when the prospect of a nursing home comes into play. Many questions arise for families concerning location, care, costs, etc. with little time to develop a comprehensive plan. Given that Skilled Nursing Facility placement is the highest level of care in senior living options, full consideration must be exercised in its determination. Atlanta Senior Advocates is the trusted Atlanta area resource families turn to for information to enable as smooth a transition as possible. We will need to speak with you in order to give you customized recommendations. We are here to help you, so please contact us by phone or send us an email. Advocates are available to help you anytime.